& offer to Add. 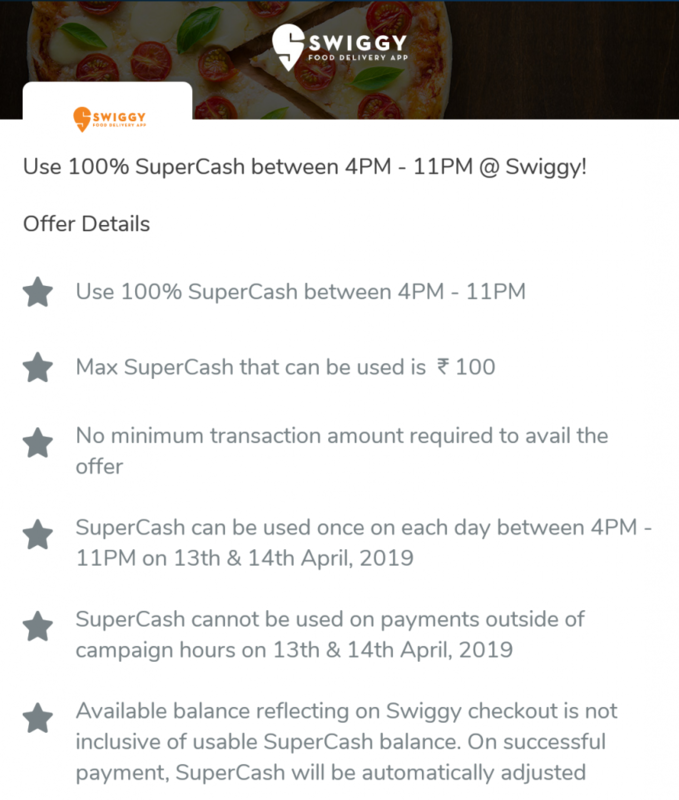 You can order food at flat 60% off & 100% Supercash you can use from Mobikwik on 13th and 14th April 2019. 1. Download Mobikwik App From Playstore – Download Now. 6. So You Got Rs.200 food For Free. 7. Follow Below Trick to get 60% off. 5. You will get flat 60% off. Now make Payment using Mobikwik. *The coupon is valid for a limited period only. T&C may be changed without any prior notice.